Boulder’s 6th Annual Arts Week is set to take place from March 29 – April 6. Touted as our city’s most prominent art event, Boulder Arts Week showcases this creative community’s ever-expanding pool of local artists. Engage with a vibrant collection of painters, musicians, filmmakers, and more at this year’s Boulder Arts Week. We share what you can expect below. In 2018, Boulder launched The Creative Neighborhoods Mural Program to showcase our city’s myriad personalities and promote local artists. Homeowners and artists have been working together to create and maintain murals on public facing homes, fences, garage doors, and more. Stroll the lively streets of Boulder while checking out these murals. If you missed Boulder International Film Festival 2019, you can still catch a hand-picked selection of quirky and creative shorts during Boulder Arts Week. These shorts tell impassioned stories from around the world in just a few brief, but beautiful minutes. BMoCA opens its doors to local artists in this evening art show and auction. Artists are invited to curate their own collection, and art lovers are encouraged to bid on pieces of original art to add to their beloved collections. Meet local artists, enjoy light hors d’oeuvres, and mingle with fellow art lovers at this opening night event. Broadway’s newest gallery promises ‘fine art for everyone’. Opening day of the gallery was March 1 and finishing touches are being completed as we speak. The Grand Opening will include local art demos, giveaways, refreshments, and more. Check back here for more details! This innovative film tells the story of a solo, female ER Doctor Rike, sailing through the Atlantic Sea. When Rike comes across a sinking ship of refugees, her entire world view is upended and she must make decisions that could change her life’s path permanently. Both an artistic masterpiece and social commentary, STYX is a must-see film coming to our city’s big screen. Boulder Cello Project is a collective of Colorado cello players that practice and perform together. A group of 8 cellists from the Front Range will perform a 1-hour show at the Boulder Public Library. This ensemble will play so much more than the classics – making this a fun event for the whole family. Internationally acclaimed comedian, Demetri Martin, will grace Boulder Theater’s historic stage during Boulder Arts Week. Martin is a vastly talented artist who has co-written for multiple shows, created award-winning stand-up acts, and even penned novels that landed on the “New York Times Best Sellers” list. This performance is almost guaranteed to make you laugh until you cry. This is the perfect event for those looking to broaden their horizons and get a great workout. Drop in to this Aerial Foundations class and learn basic skills and simple maneuvers on silks and low-flying trapeze. No experience is necessary for this event and you’ll walk away with a great story. Participate in this workshop and learn the ins and outs of fine art modeling. Whether you’re interested in modeling, practicing figure drawing, or generally curious about the industry, presenter Ellen Allen will cover all facets of fine arts modeling. From etiquette to terminology, and everything in between – this workshop is all encompassing, informative, and provides participants the opportunity to learn something entirely new in an inclusive classroom environment. Celebrate the warming spring nights with a stroll through North Boulder’s artist community. 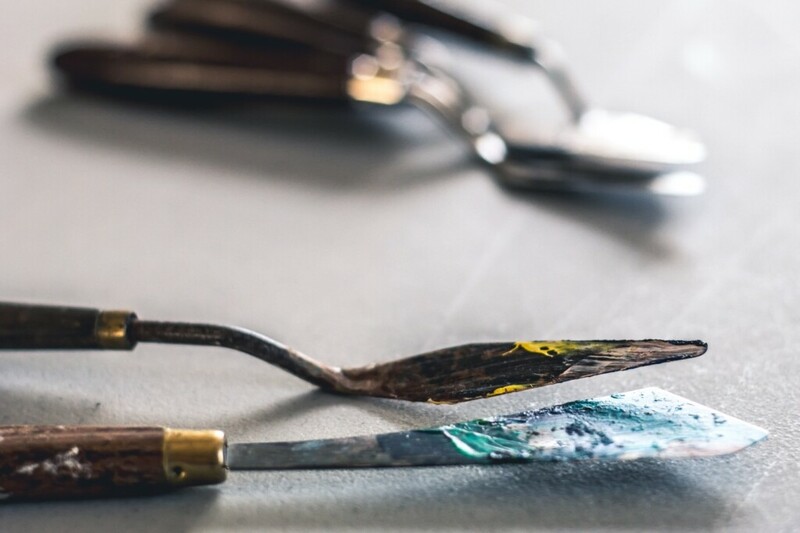 Tour galleries and studios, meet local craftsmen and artisans, and participate in one-of-a-kind art demonstrations. Colorful flags will lead the way as you weave in and out of this burgeoning art scene. Closing out Boulder Arts Week are these two pioneering acts. Front Country unites classic and modern for a sound that is all their own. The Mighty Pines bill themselves as a ‘soul-inspired, roots rock band’ and always bring a little something for everyone to enjoy. Celebrate the success of another Boulder Arts Week with these two musical powerhouses. Boulder Arts Week gives our city’s art lovers, supporters, and artists a chance to connect, learn, and create in this collaborative event. Celebrate Boulder’s quickly growing arts scene with a number of inspiring events this spring. Meta: Support Boulder’s local craftsmen, artisans, and creators during the 6th annual Boulder Arts Week. Sign up for a class, attend a gallery opening, or check out a concert to get a pulse on Boulder’s burgeoning art scene and meet our city’s talented residents.